“I think that there is a real possibility that concessions made by the Conservatives to the DUP may force Sinn Féin into a position where they consider taking their seats” argues Peter McColl. 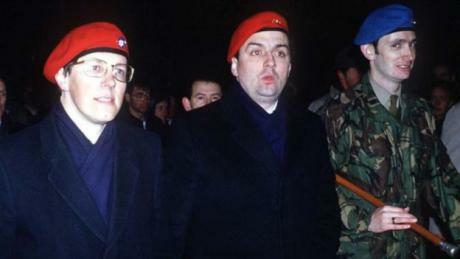 The politics of the north of Ireland has made a mark in this election, with the continual Tory attempts to link both Jeremy Corbyn and John McDonnell with the IRA. Given the travails of the devolved settlement at Stormont, it’s unfortunate that this is where the focus has been. It may become much more significant now that the DUP seem to be supporting a Tory government. At present Sinn Féin don’t take their seats at Westminster, because they don’t believe the UK Government should have the right to govern any part of Ireland. It’s a deeply held belief, not a quirk, or a foolish oversight. People often talk about what it would take for Sinn Féin to take their seats at Westminster. Often they talk rot. The political context in the north of Ireland is fascinating. Sinn Féin with a strong performance in the Westminster and Assembly elections are able to prevent any administration forming. Their position in the Republic allows them to pressurise both Fine Gael and Fianna Fáil, the two larger parties. That pressure may play into the Irish government using or threatening to use its veto over a Brexit deal. I think that there is a real possibility that concessions made by the Conservatives to the DUP may force Sinn Féin into a position where they consider taking their seats. Something like replacing Stormont with a Westminster Grand Committee that would govern the north using Irish MPs sitting at Westminster (10 DUP, 1 Independent, former Ulster Unionist). That would be intolerable for Sinn Féin, and may move them to act. Perhaps even by taking their seats. They will do this to defend the interests of nationalists in the north. Bringing down a DUP-supported Tory government in pursuit of the unity of Ireland is one of the very few ways Sinn Féin could convince their supporters that taking their seats was acceptable. Exactly. They would be taking their lives in their hands if they swore loyalty to Mrs. Saxe-Coburg-Gotha. As the rise of neo-Unionism politically morphs Scotland into an Ulster2 the presence of Sinn Féin in the BritState parliament might add a tingle to the rather staid SNP representation. After all they’ve been dealing with this duplicitous system for longer. Be just like old times. De-colonisation anyone? This won’t happen. If Sinn Fein did decide to take their seats at Westminister you can be sure that a substantial section of their electorate would desert them and there is absolutely no incentive for them to do so. Their seven seats combined with all the other “progressive” parties would not trump the combined numbers of the Tories + the D.U.P.. Their eyes are set on their all-Ireland project with the aim of getting into a coalition in the Republic. As to the morphing of Scotland into Ulster2, there is simply no comparison between politics in your country and our politics over here in NI.. We now have essentially a tribal, sectarian unionist Party confronting a tribal, sectarian nationalist party. There is no comparison between the Scottish Tories and the D.U.P., let alone with the Labour and Liberal Democrat parties. And unless the S.N.P. are thinking of setting up a military wing which will then proceed to murder almost 2,000 people, injure many more and try to destroy the economy, I can see no possible comparison between them and our now dominant brand of nationalism in the shape of Sinn Fein. The problem is the numbers still don’t stack up – even if (and it is an enormous if) Sinn Fein decided to take up their seats, Tory/DUP still have an overall majority if they agree to work together. And there’s an extra independent (ex_UUP) as well = 129 seats. A small overall majority but there’s no way Sinn Fein would make such a radical change if it wasn’t guaranteed to bring down the Government. Politics in Northern Ireland is a sham. Putting the DUP into government with the Tories absolutely shreds the Good Friday agreement and the Tories in Westminster know it. Let’s wait and see how it plays out but I don’t think that Sinn Fein will be taking the oath of allegiance to Queen Elizebeth the Second any time soon. Not sure others have picked up on that. Ah Calum you do indeed recall correctly that the British Government said that they had no selfish strategic or economic interest in Northern Ireland. I wonder if they say the same about Scotland with a similar objective to help, enable and encourage. While it is a nice idea, and something I would love to see, I don’t think that it is likely to happen. While Dev took the oath of Allegiance in 1927 it was much watered down from the full blown queen and her heirs of the Westminster oath. I seriously don’t see how they could take it and retain their winning position vis a vi the dissident Republicans who still see the 2nd Fail as the last authentic Irish Parliament. Unless it is your special interest it is almost incomprehensible the subtleties of Irish Republican politics “The first item on the agenda is the split” attributed to on of the Behans. SF would prefer to be in government in Dublin, where they could have real power, than simply propping up Corbyn which would bring problems for Corbyn given the amount of the brown stuff which was thrown at him about his alleged relationship with the IRA. The Unionists would claim the this is payback time and this might embarrass Corbyn in the next Election which might just happen. Sorry to the so negative in what except in the context of Ulster is a lovely idea. The SF policy of abstention dates back to 1919 when SF became the majority party in Southern Ireland and organized the First Dail in Dublin and refused to recognize the British Government, so it is impossible for them to break this oath to Irish history and those men and women who gave their lives for Irish Freedom. Sorry for the simple question but is there any indication the DUP would attempt to replace Stormont with a Westminster committee? Surely that would be seen as a dramatic coup and a rather self-defeating provocation to Sinn Fein. In the abstract though I fail to see why your thesis is wrong. Why would their electorate desert them with issues like Brexit and austerity at stake..? The logic of SF taking their seats is exactly the same as the logic of the SNP (or indeed the DUP) taken theirs. Now representation really counts. The entire peace process surely testifies to the fact that hardline republicans can behave in a pragmatic way when it suits them. Would that not mean s/f provoking the unionist vote, thus , enticing more of a separatist Ireland tham what it is ? I don’t see the SF leadership abandoning their central project which is the maximisation of their presence in Dail Eireann. Foreign adventures can have no place in that project. There was an interview on Newsnight with a SF MP who was asked just that very question and the dogmatic reply he gave really gave you the impression of just how Neanderthal and fossilised politics are in NI. No way will SF be coming to Westminster. Good Friday Agreement bans any UK party from forming a coalition at Westminster with any NI party. So May is fcuked again. For information where. I can’t find it and I don’t know which section is should be. Is it in the report or that Annexes. I’m genuinely not being smart, because if it is true let’s push it. I wouldn’t think it matters. If that was the case it won’t be described as a coalition. No matter the reality any legal challenge (adjudicated by what legal body?) would undoubtedly crushed by the “establishment”. More important that progressive forces, including Sinn Fein, talk to each other to co-ordinate opposition, under Jeremy Corbyn at Westminster. Here in Scotland, the Scottish Tories are, hmm, all over the place. Victorious in rural Scotland, with farmers and fishermen still believing that Brexit will help them, the Scottish leader is doing all she can to distance herself from Theresa May, whom she sees as a failure. Ms Davidson does not like failure. So far she has suggested ‘open Brexit’ and, after some ridicule on the Have I Got News For You election special, tried to burnish her prog credentials with a plea for gay rights directed at May’s uncivil partnership with the DUP, whose corrupt conduct in government is somehow being overlooked in all this talk of Continuity Mrs T May. Brexit remains the central threat to anyone with an interest in progressive politics. The Scottish Tories are particularly weak on this, and will become more so as their electoral base realise how damaging to their interests Brexit is. On the SNP front, Nicola is the obvious leader of the Scottish cause in talks with Corbyn. Dugdale had a pisspoor election and should be shown the door. Davidson is now making hypocrisy a mission statement.. I don’t really believe in this, but I’ll go along with it anyway, is a poor excuse for anyone who presumes leadership. A kindly disposition to Sinn Fein would be a good start for those who want to protect the interests of NI and Scotland, the peace process and the independence project. Unlike Ruth Davidson, let’s all remember which side of history we are on. Altruism not personal ambition should be the watchword in the dark days ahead.